Professor Mullan is Director of Clinical Training at the University of Exeter, co-founder of the Mood Disorders Centre (2004), and the founder of CEDAR (Clinical Education Development and Research - 2012). He is also a Chartered Consultant Clinical Psychologist. After qualifying in 1984, he worked in a range of Adult Mental Health settings including a role as Head of Adult Psychology and Psychological Therapies from 1998 in North and Mid Devon and then going on to become Head of Psychological Services in 2003. In 2002, he joined the University of Exeter, on a part time basis, as CPD Director with responsibility for development of new Post Qualification Clinical Training programmes. In 2004, along with Professors Kuyken and Watkins, he co-founded the Mood Disorders Centre which has become one of the leading centres of clinical psychological research in the UK. In 2005 he was responsible for the delivery of a new MSc in Psychological Therapies offering accredited training in Cognitive Behavioural, Psychoanalytic and Systemic Therapies. He was then appointed as Programme Director for the DClinPsy taking responsibility for all Clinical Training programmes in the School of Psychology. In 2008 he became Director of Clinical Training and secured the contracts for the High and Low Intensity IAPT programmes establishing Exeter as a centre of excellence for post-graduate clinical training. In 2010, he led the development and delivery of two new innovative taught doctoral programmes (DClinRes and DClinPrac) to advance the research agenda of senior leaders and researchers in the NHS. In 2012, he directed the launch of the BSc in Applied Psychology (Clinical), a unique programme offering dual accreditation of a PWP qualification in the context of a BPS accredited undergraduate degree. As a result of the success of the portfolio of Clinical Training programmes, CEDAR was launched in 2012 to complement our clinical research group and the developing international brand for psychological therapies training. CEDAR currently has 250 registered postgraduate clinical trainees with more than 70 on Clinical Doctoral programmes. 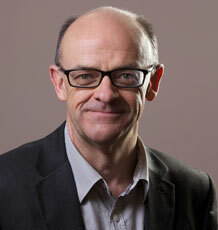 In terms of future training and research projects, Professor Mullan’s interests are focussed on evaluation of leadership and service transformation work in international settings, and he is also heavily involved with the development and delivery of evidence based approaches through international collaborations. These include research and training programmes for delivery of culturally appropriate evidence based approaches in Tokyo and Hong Kong. He is also part of a working collaboration with UBC, Vancouver, to develop an evidence base for Morita Therapy. He continues to develop new innovative research training initiatives and in 2014 hopes to launch a new doctoral level programme in Applied Psychology in Leadership Environments. Prof Mullan sits on the BPS Accreditation Committee for Clinical Psychology and acts as External Examiner for two Doctoral Clinical Psychology programmes. Prof. Mullan is a Chartered Consultant Clinical Psychologist with MSc in Abnormal Psychology (1984) and a D.Clin.Psych (2001).